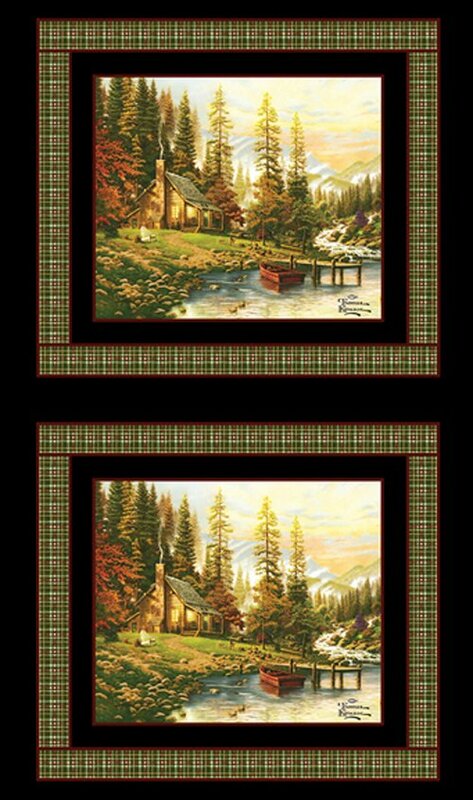 Benartex - A Peaceful Retreat Panel by Thomas Kinkade 05459-99. 100% cotton. You will receive a half-panel, measuring 18" x 42", which contains two squares of the cabin/lake.